Earn $12.90 in Rewards credit. Click to learn more. The last thing you want to do while on your multi-day adventure is watching all the contents in your handlebar bag get soaked while you ride along. 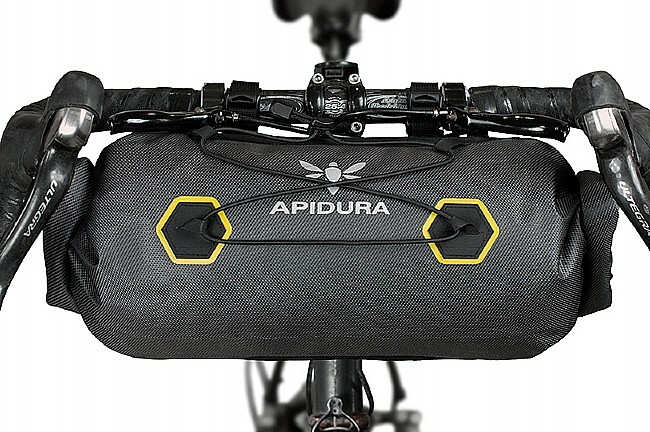 Keep your bulky, compressible items dry by storing them in the Expedition Handlebar Pack, made from seam-welded, heavy-duty waterproof fabric. 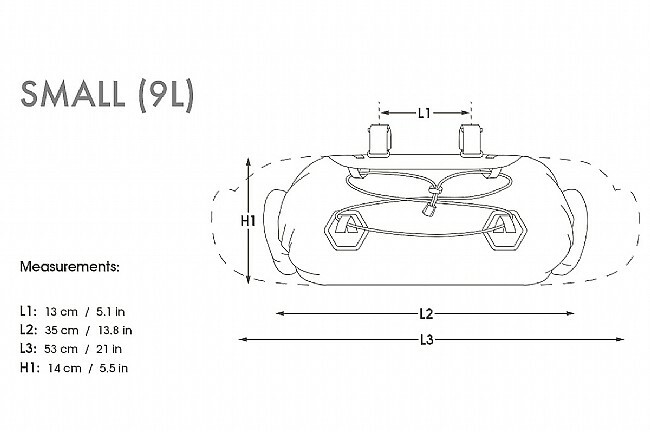 Abrasion-resistant Hypalon material reinforces high-wear areas to protect the pack and handlebar / headtube contact points. 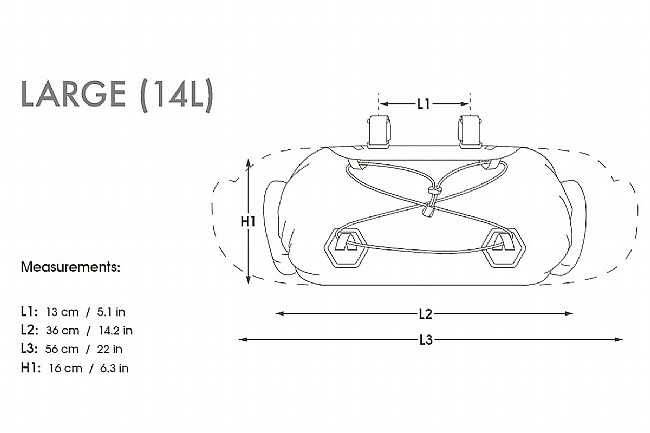 The 9-liter capacity can be compressed for maximum stability, aided by a hands-free air-release valve for the most compact packing possible. A bungee web out front allows you to easily stow a jacket or other layers while keeping them readily accessible. Features reflective accents for increased visibility. 9 liter capacity. 48 cm wide by 16 cm tall. Claimed weight is 250 g.
The bag is perfect for day-trips. On cold days I would pack a wind-breaker and a light outer layer, plus an extra pair of gloves, etc. On warm days, I usually bring a change of clothes or a picnic blanket. Good size. Rugged and can handle a load. Would buy again. I recommend the expedition models over standard. Great bag! Easy to access and well made. Might even use it boating it's so bomber. I've only used this on a recent road bike tour in Taiwan so I don't have a lot of experience with it. I could not haul a ton of gear with it as it had to fit between the bars, but it worked great, carried some essentials for me, and it did not interfere with my riding at all. 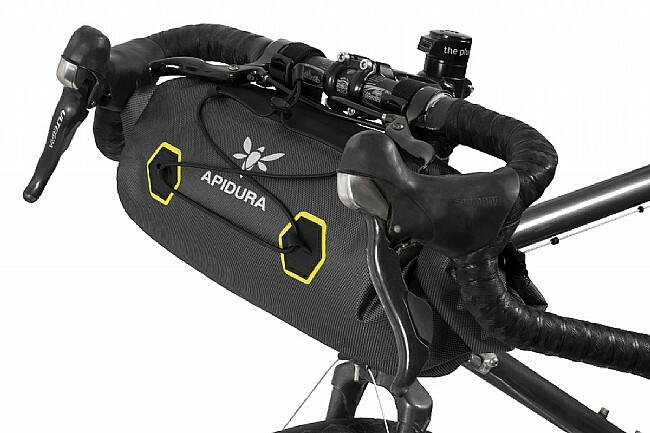 I bought it to also use for MT bike trips and look forward to trying the bag for that too as I'll be able to carry much more with straight bars.